For our next AccessJ super-feature, we will be thoroughly covering the Japanese credit card system. We'll also offer a guide and tips for getting your own Japanese credit card. Read more for an introduction to the credit card system of Japan. One of the things that travelers in Japan tend to notice is how many stores outside of major shopping districts do not accept credit cards. While this trend is changing, expect most small shops and eateries to only handle cash. Even then some older credit card terminals have a hard time handling Western debit cards and certain types of international credit cards. The Japanese credit card system is extremely dissimilar to other developed countries. Credit cards, by default, work a lot like a charge card or debit cards found in the Western world. Basically, you just charge up to a set limit and you are billed for the balance at the end of the month. Just about every major credit card brand is available here including Visa, Master Card, and American Express. JCB is also a major brand but it is not often seen outside of Japan (however American Express in the US has a deal to process JCB cards at some terminals and vice-versa). Most stores simply require signatures will while others use a chip-and-pin set up similar to UK credit cards and debit cards. That being said, there are some important differences that you may come across when trying to apply for and/or use a credit card in Japan. Bunkatu barai literally means "split up payments" or "installment payments." When using a credit card, be it foreign or domestic, the teller will ask something to the effect of "how many times do you want to divide this?" ("nankai deshou ka?") or "will this be in one payment?" ("ikkatsu wa yoroshi deshou ka?"). If you are using a non Japanese credit card or debit, always answer "one time" ("ikkai " or "ikkatsu") or else your transaction will be rejected. Japanese credit cards always include this system of splitting up payments, usually in 2-12 installments. Some credit card issuers have specials where 2-3 installments are interest free but picking up any more installments will incur interest on each payment. 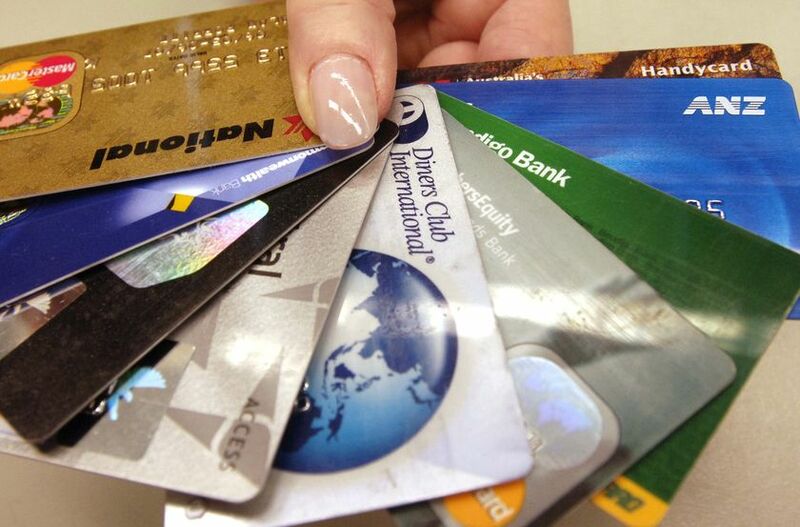 Credit card companies will usually have a rate table available on their brochures and websites. Ribo Barai is short for "revolving payments" and it resembles something closer to a Western, pay-as-you-go credit system. This option takes your balance for the month and divides it into pre-determined payments plus a finance fee attached to each payment. Like bunkatsu barai, this option only works with cards issued in Japan and only if your card issuer thinks that you are credit worthy enough to not duck out on your payments. The Japanese take on the English word "cashing," this service is essentially a cash advance or loan. You can take money out at most convenience store or institutional ATMs but expect a hefty interest charge plus possible ATM fees. Some companies require separate applications for domestic kyashingu and international kyashingu. This service can be handy for withdrawing money overseas where Japanese bank cards are as about as useless as monopoly money. However, when it comes to daily purchases, it is good to avoid unless you want to be up to your eyeballs in debt with heavy interest. Most card issuers give you the option of not signing up for this at all and it is usually a smart move, especially if you are a first time credit card user in Japan. Some banks and brokerages offer a single card that combines your bank card and your credit card. They have similar functionality to a stand alone credit card save for the fact that you can use them at ATMs for deposits and withdrawals. Like all credit cards, you have to fill out and application and be approved. Banks may also set certain conditions such as having a certain balance or charging an annual service fee. Well, that about covers the basics. Stay posted for our next installment where we take a look at getting your very own Japanese credit card! I'd like to throw in that the number of places in Japan accepting credit cards is on the rise. If it is any kind of chain store, including family restaurants and supermarkets, usually they'll accept cards, and this means it's almost possible to get by in daily life using your card like you did at home (for a lot of English-speaking Western ex-pats). The standard setup of having the full card balance paid off from your bank account each month is great--one less bill to worry about paying, and Japanese cards often feature point systems like their western counterparts. You should also cover *getting* a credit card. I have a family card that my wife applied for. But I've heard horror stories of foreigners getting their own cards, especially if you don't have PR. LP-- Good point, credit card usage has been on the rise, especially in chain stores. However, smaller eateries and most non-chain stores still deal in cash. If you stick to malls, conbini, and chain stores then you probably will be all set. Also, its worth mentioning that some places give discounts for paying in cash (gas stations and electronics retailers come to mind) since they don't have to pay high transactions fees to the card issuer. Anonymous-- Check back Friday. Our next installment covers getting your own card. It is very possible to get a credit card without PR. I am unmarried and I have multiple. You just need to know a few tricks. Does anyone have information on not having the ability to have a credit card in Japan after becoming a bad credit risk. Then paying off the bill, but still not being able to get any more cards? Is there a way to clear (get your name off the blacklist) your name? Some stuff you cant buy without a Japanese Credit Card so its almost a must.